Just keep it respectful - no bashing authors or other bloggers! 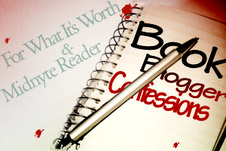 If Book Blogger Confessions is new to you, here's a link to the introductory post. If you want to participate just grab our button and include it in your post with a link to either Midnyte Reader or For What It's Worth. We will be providing a linky at the end of our posts so people can "hop" to see all the participants answers. Thank you to everyone who answered the Book Blogger Confessions survey. Most of you wanted to have the topics as far in advance as possible. Pam and I put together the topics for the rest of 2012 and I’ll have a link to this post under my header in case you need to reference again. 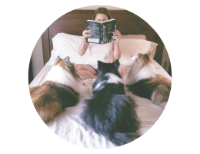 The next Book Blogger Confessions is Monday September 3rd. Question: Following: How do you follow blogs? Do you use Google Reader? Are you on an e-mail list? Are you more apt to follow people who have less followers? Would you follow a blog to enter a contest? What makes you unfollow a blog? September 17th: Blogger relations: Are there blogs you visit and comment on because you like their style, voice etc. (maybe you even converse with the blogger on Twitter & Facebook) but those comments are never reciprocated on your blog?. Do you get a bit offended or do you understand that they may be busy? Or do you comment just because you like a post not expecting anything in return? October 1st: Blogger Envy: Do you have a bad case of blogger envy? Do you covet thy neighbor bloggers book hauls/follower numbers/blog design? How do you tamp down the green eyed monster? October 15th: Happy Halloween! Do you like to read scary books? Why or why not? If so, what is the scariest book you ever read and why does it deserve that honor? Bonus question! Just for fun – have you ever dressed as a literary character for Halloween? Brave enough to show a photo if you have one? November 5th: Should bloggers & authors discuss politics? Does that turn you off to a blogger or an authors books if they tweet/post about their political positions or do you appreciate their passionate point of view? November 19th: Giving thanks: Is there a book that you are thankful you have read? Maybe it has changed your life in a small or even a large way, or made you see things in a different perspective. December 3rd: Do you have a monthly book budget? How has it changed since you started blogging? Do you get more free books now that you have access to publishers/authors/other bloggers or is your book buying budget even higher than when you started? December 17th: Dear Santa! What would you put on your blogging/bookish wish list if the sky was the limit? 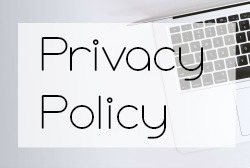 A new blog design? A house filled with new bookshelves? Even MORE books? Ooh nice now I can be all prepared for the next couple of months. I'm glad you're rejoining us! I know having the schedule posted as far in advance as possible is helpful for a lot of bloggers. I just un-followed Roseanne Barr because of her political opinions . I can't stand politics so of course I would say authors and bloggers should never talk politics ugh!!!!!!!!! Check out our Website to learn how we can help you. I read the book i think it will be like old stories like in films. The boy saw the girl then he want to talk with her. he made some cheap plans to impress her then girl hates him and suddenly her hate change into the love but that time i'll read a unique story and interesting when i start to read then i cant stop till i end that book i am found of reading books like i am a student of 70-410 certification so its my need to get up to date with latest knowledge and ideas for that reason i always prefer to read good books. thanks for giving such nice information.